Harvest Time Church invites you to our annual Eggtacular! 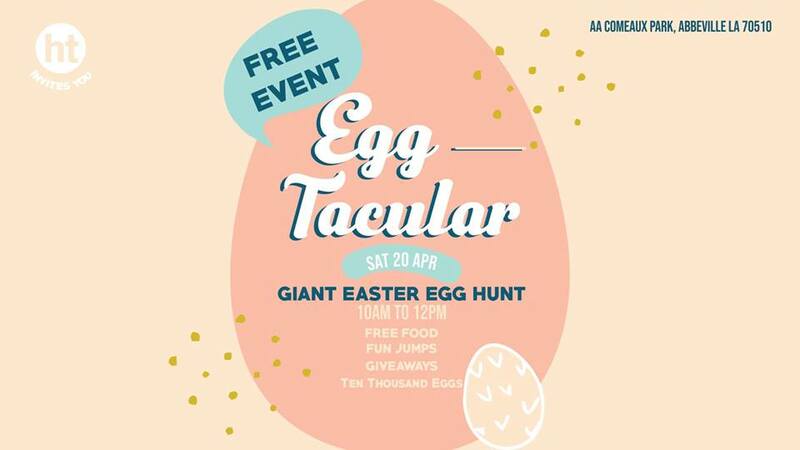 This is a GIANT easter egg hunt with 10,000 stuffed eggs! There will also be games, fun jumps and giveaways for ages 2-11. Last but not least,everyone in attendance will be served free lunch! Invite everyone you know and come out to one of our biggest outreaches of the year!